A modern repackaging of Mark Twain’s classic American tale of Tom Sawyer. 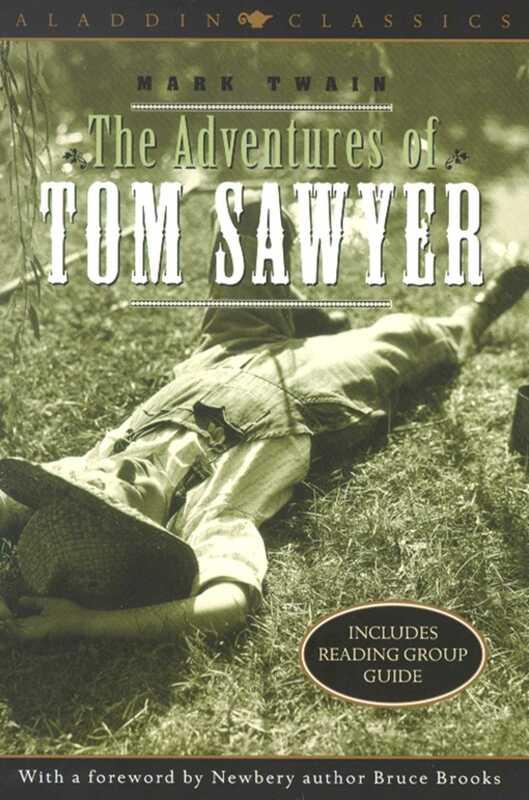 Here is the story of Tom, Huck, Becky, and Aunt Polly; a tale of adventures, pranks, playing hookey, and summertime fun. Written by the author sometimes called "the Lincoln of literature," The Adventures of Tom Sawyerwas surprisingly neither a critical nor a financial success when it was first published in 1876. It was Mark Twain's first novel. However, since then Tom Sawyer has become his most popular work, enjoying dramatic, film, and even Broadway musical interpretations. Mark Twain was born Samuel Langhorne Clemens. His humorous tales of human nature, especially The Adventures of Tom Sawyer (1876) and The Adventures of Huckleberry Finn (1884), remain standard texts in high school and college literature classes. Twain was born and died in years in which Halley’s Comet passed by Earth: 1835 and 1910.